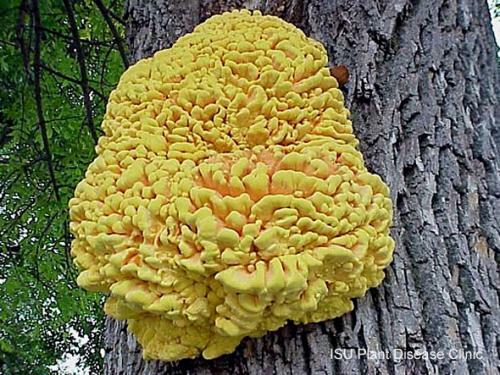 Laetiporus sulphureus, also called sulfur shelf, affects a wide range of coniferous and deciduous hosts. Oak is the host in this image. Fruiting bodies usually don't develop until several years after infection. Their presence generally indicates that there is a serious amount of internal rot within the tree.